I﻿﻿﻿﻿D﻿﻿﻿﻿Shield identity monitoring services are ideally priced for spouses and large families, while its $5 million insurance on identity restoration and a licensed private investigator get IDShield a competitive edge over its pricier competitors. It may lack some credit monitoring perks, but it offers a surprisingly robust package at a modest price. IDShield provides a $5 million coverage of your identity restoration, should it ever be stolen. It’s not the same as insurance other companies offer to cover your ID theft-associated losses (fees, wages, etc.). Instead, IDShield will spend up to $5 million to restore your identity to its pre-theft state. This includes investigation and rebuilding your credit rating. There is no extra fee for the $5 million service guarantee – it comes with every IDShield plan. Their ID restoration services are handled by Kroll Inc., a private investigative firm, while its credit-monitoring data comes from only one credit agency on a quarterly basis. Also, IDShield does not offer any composite creditworthiness score, such as those from Vantage of FICO. IDShield watches for anything unusual associated with your personal information – known breaches, credit activity, and IDs sold on the Dark Web. Credit activity information comes from only one credit bureau. You receive quarterly credit reports and three additional annual credit reports. Personal data monitoring by IDShield embraces a surprising amount of data you can track. You can add only one driver’s license per person, but up to 10 bank account numbers, credit/debit cards, medical ID numbers, emails, and up to 11 phone numbers. And if you add a spouse to your plan, you effectively double the maximum number of monitored accounts. IDShield also monitors your social media accounts, such as Facebook, Twitter, Instagram, and LinkedIn, searching for posts and words associated with foul language, drugs, violence, and unauthorized use of your personal information. Also, IDShield looks at court orders, payday loans, and other publicly available documents to detect any illegal activity attributed to you. Cybersecurity from IDShield comes down to a Splikity password manager. It’s cross-platform and cloud-based, so you can use it on all your devices. But there is no anti-malware or anti-phishing solution on offer. 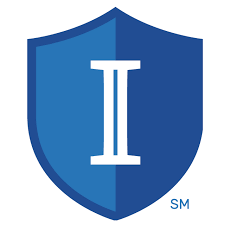 IDShield mobile app for iOS and Android shows all pending alerts, your recent credit score, and the information the provider is monitoring for you. The app also sends you push notifications if there is suspicious activity on any of the monitored accounts. It’s also quite sleek and robust and has a panic button you can use to connect with an investigator if something looks off. IDShield pricing structure is a stark contrast to other services in a way that it offers the same service and features in all its plans. The only difference is the number of people covered by a plan. You are billed either on a monthly or yearly basis, but annual subscriptions do not provide any discounts. You can cancel any time by sending a written notice to the company. There are no early cancellation fees, but there is no free trial either. IDShield Individual is a single-user subscription modestly priced at $9.95/mo, while IDShield Family subscription at $24.95/mo covers you, your spouse or partner, and up to eight minors or dependents. When your kids turn 18, they will no longer be eligible for the special pricing of the family plan. But IDShield will provide all the necessary information so that you can transition them to their individual accounts. For non-emergency assistance, you can call or email IDShield from 7 a.m. to 7 p.m. Central time on weekdays. IDShield agents are quick in dispensing smart ID protection advice. But a Kroll Consultation and Restoration investigator is available 24/7 in the event of an identity fraud emergency. Since a confirmed ID theft is the worst case scenario, an individual investigator will be assigned to you to fix as much damage as possible. You will have to give the company a limited power of attorney to handle the case for you. Again, the company will spend up to $5 million to restore your stolen identity. If you were to lose your wallet, the company also helps by canceling your cards for you. Its FAQs section has helpful guides on how to get a new driver’s license or replace a stolen green card. Setting up and using IDShield is a straightforward process. Submit your personal information, the last four digits of your SSN, process the payment, choose five security questions and enter all the accounts you wish to monitor. You can now access your three-month credit score history pulled from one credit agency. IDShield lists your score complete with advice on how to improve it. The service alerts you when there are new reviews of your bank account or credit card activity, but it doesn’t include investments and retirement accounts. Its mobile app has a sleek interface complete with a panic button for contacting IDShield investigator in the event of an emergency. A demo mode helps you get accustomed to the UI, while the app prevents you from taking screenshots, which means spyware can’t do it either. If you want identity protection for your entire family, IDShield is probably the best service available at a reasonable price. Individuals willing to pay up for more detailed coverage may want to explore alternatives.